Colorado Springs is a city in Colorado with the largest area. It has been the setting for movies, television shows, and a backdrop for military-themed stories. The Colorado Amendment 64 legalized the retails sales of marijuana for recreational purposes. 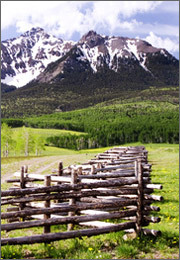 Colorado Springs lawyers practice in many law areas including criminal defense, divorce, real estate, and others. Colorado’s courts serve two primary functions: dispute resolution and supervision of convicted offenders. Within Colorado’s Supreme, Appellate, County and District courts there are 304 judges and magistrates in 22 judicial districts. The Colorado judiciary also includes water courts, a testament to the importance of water in the development of America’s west. These special courts exist solely to resolve disputes over riparian (water) rights. Recent statistics show that Colorado had over 2,400 civil cases filed in state courts. Colorado is home to over 18,000 attorneys and other legal professionals. Like lawyers in most other states, Colorado lawyers must pass a bar examination and a background check before they are admitted to the state bar. Colorado is also a reciprocity state: if another state allows Colorado lawyers to practice in their state without passing their bar exam, Colorado will also allow that state’s lawyers to practice in Colorado without taking the Colorado bar examination. In 1996, a Colorado amendment which outlawed anti-discrimination laws against homosexuals was found unconstitutional by the Supreme Court of the United States. Romer v. Evans is now regarded as a seminal case in Constitutional law, leading to other significant court cases and political developments throughout the country. Colorado is also one of many states with very specific laws pertaining to alcohol sales. Only recently did Colorado allow alcohol sales on Sunday, for example, and Colorado is similar to Utah in that grocery stores may only sell beer with a maximum alcohol content of 3.2.